This is one of my favorite deals for my boys! 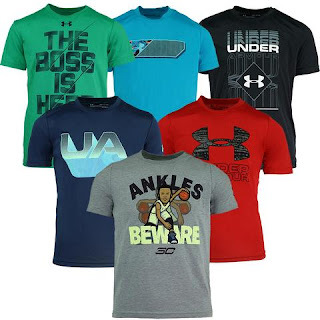 Head over to get this Under Armour Boys' T-Shirt 3-Pack for ONLY $24! That's just $8 per tee shirt! I have gotten this deal many times for my boys and we have ALWAYS been happy with what we have gotten!